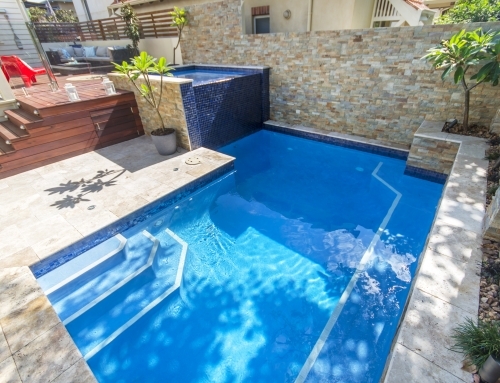 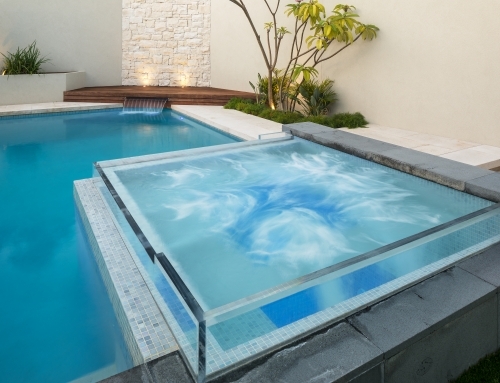 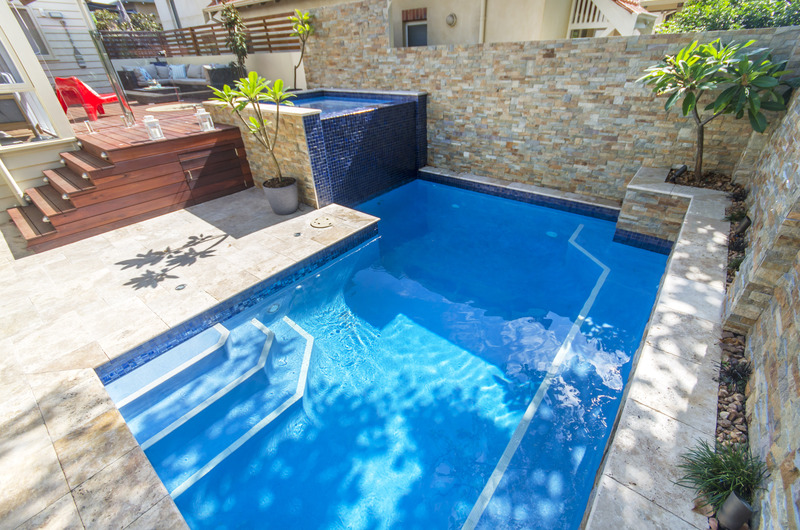 No matter where you look in this beautiful pool design, there is a feature element that will take your breath away. 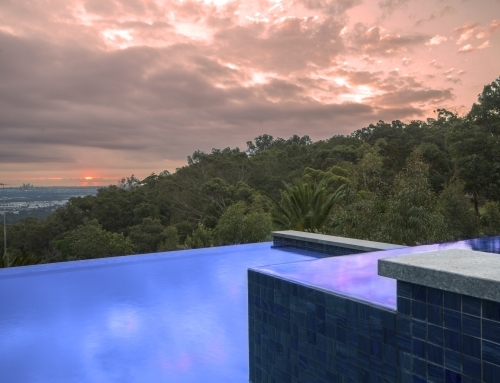 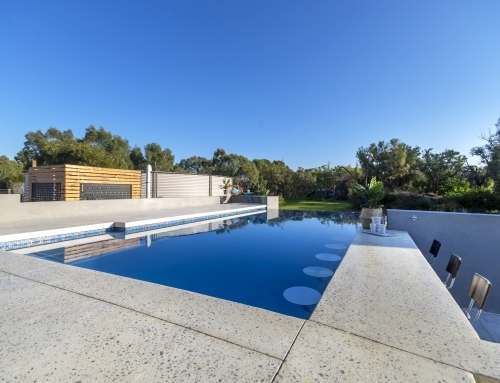 Our client incorporated this stunning, fully tiled infinity edge pool and spa to complement their new home build in Madora Bay. 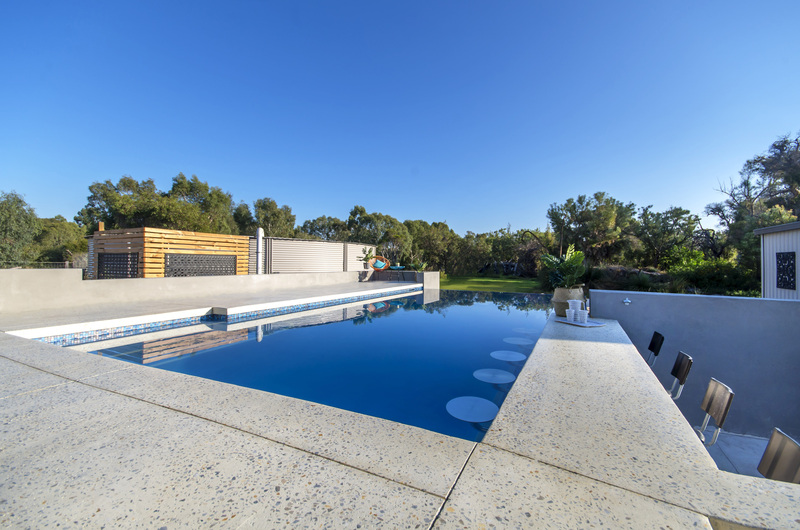 Working closely with architect Iliadis Architects and landscaper Mondo Landscapes, we constructed a bespoke pool that would be functional for our client to use throughout the year, whilst maintaining its stance as a stand out feature in their uniquely designed home. 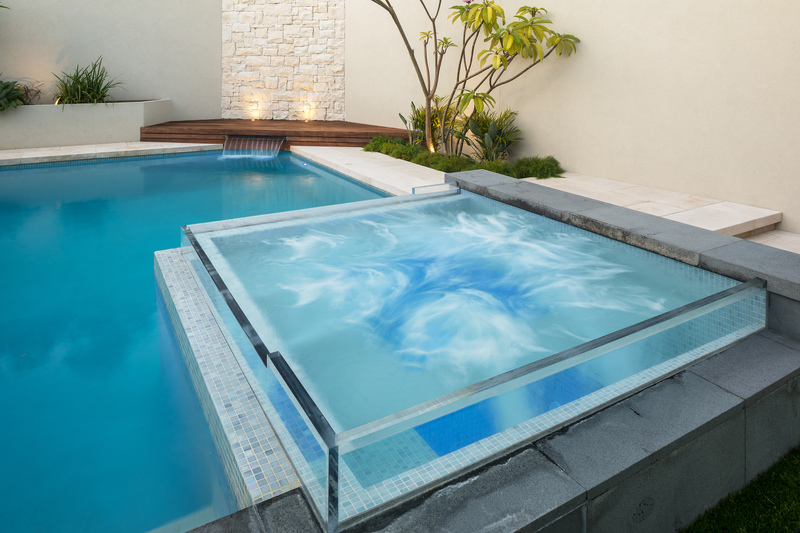 The pool has been constructed above ground with a radial infinity edge, enabling the water to cascade over the spillover to amazing effect. 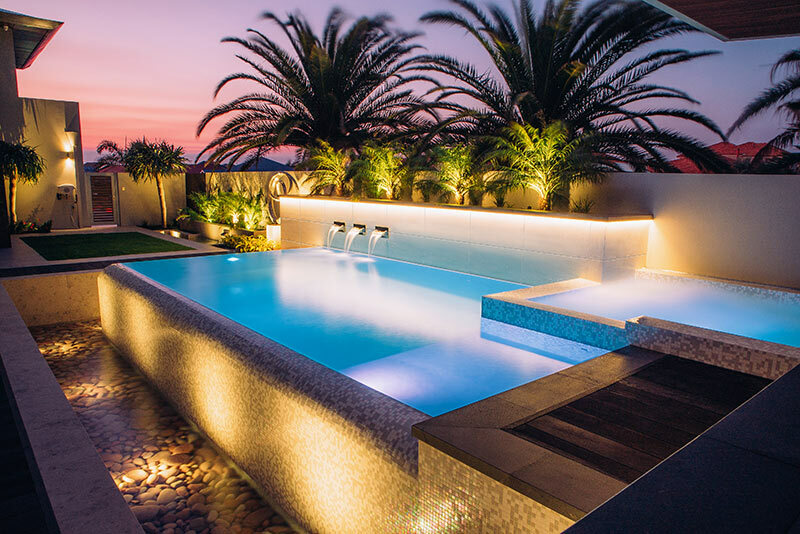 The trough, with feature lighting and a steel grate floor, holds hundreds of river stones which have been carefully placed to create a natural yet contemporary look, complementing the sleek pool interior finish. 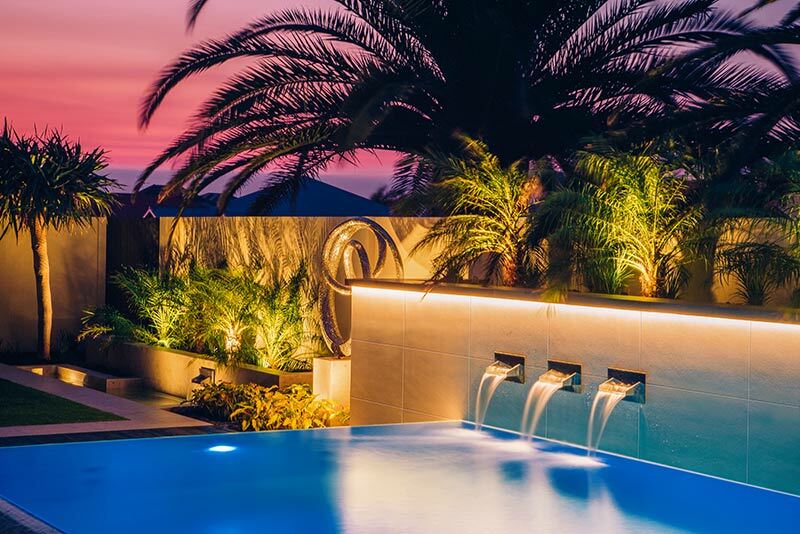 The colour palette for the pool and spa was carefully chosen to continue the theme used throughout the home and landscaping. 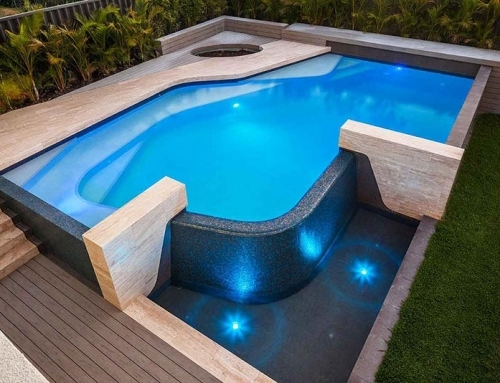 The pool and spa interior tiles create a shimmering effect and when lit up give the illusion that the water is dancing across the pool. 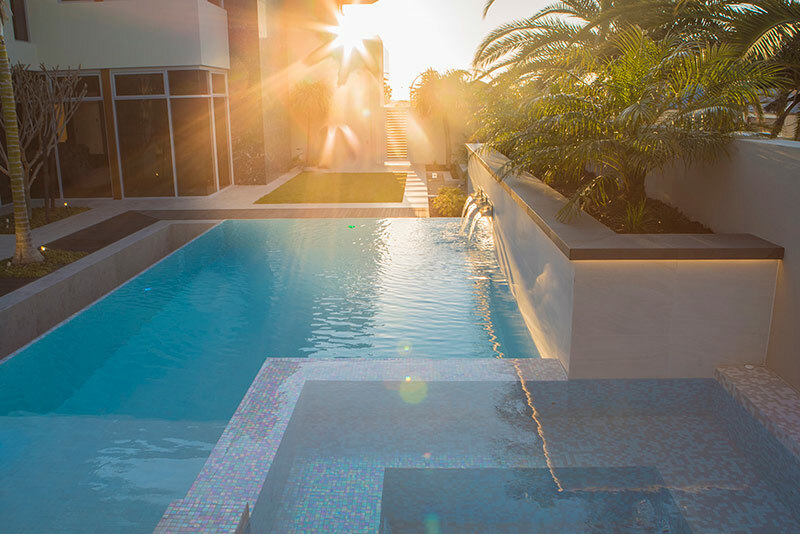 The tiles installed to the spillover face incorporate those used throughout the pool, as well as a darker mosaic, which highlights the aesthetic feature and creates a beautiful focal point that can be seen from the living areas of the residence. 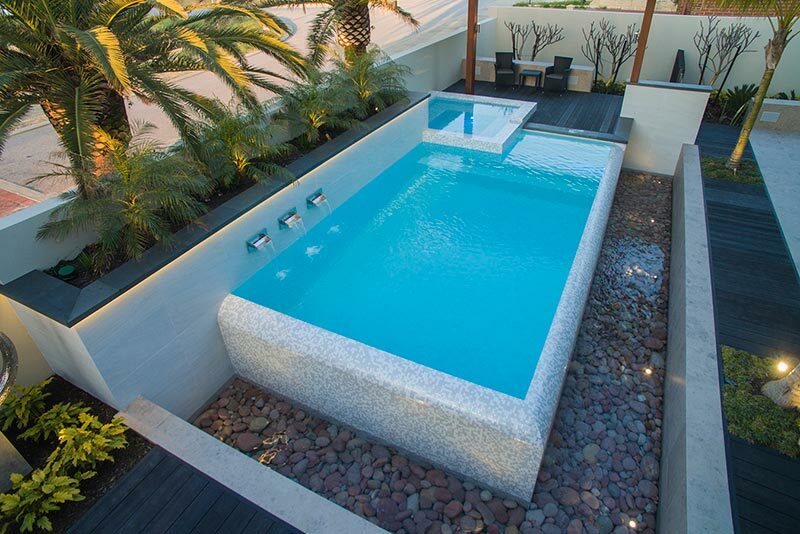 Four custom designed water features were created and installed to the high rise planter wall along the pool length. 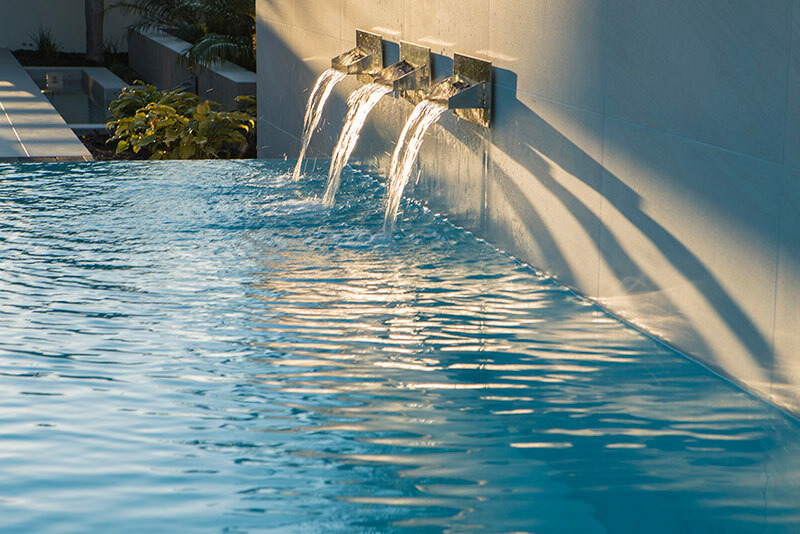 They have been designed in such a way to have the water cascade in a film, which is again an aesthetically stunning visual in the pool zone.